In the summer, quick and easy is the way to go, and when dinner only requires one pan, well that's even better. 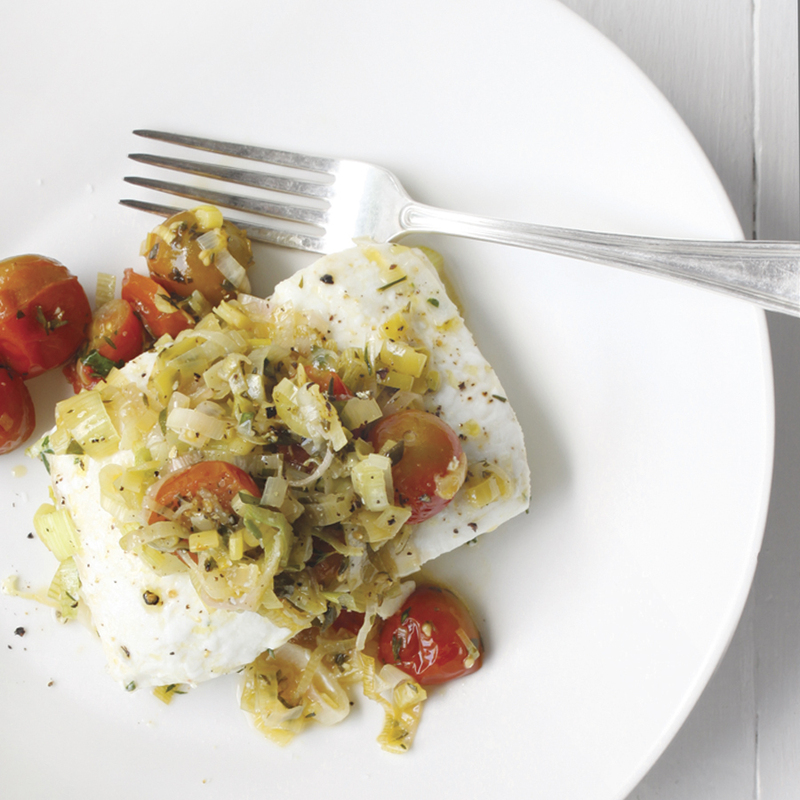 This simple, yet satisfying dinner highlights sweet cherry tomatoes right from the garden, flavorful leeks, and the freshest white fish you can find. Add some fresh herbs, and that's it. And it's just as easy for weeknights as it is for entertaining. Place leeks in a sieve and rinse under cold water several times to remove dirt. Set aside. In a large oven-safe sauté pan, heat butter and 2 tablespoons olive oil over medium heat. Add leeks and tomatoes and just for about 2 minutes. Season with salt and pepper. Add thyme and parsley and cook for another 1 minute. Add another 1 tablespoon of oil to pan and nestle fish filets in pan, around leeks and tomatoes. Drizzle remaining 1 tablespoon olive oil over top of fish, and season each with salt and pepper. Give pan a shake to make sure fish isn't sticking to bottom of pan. Transfer pan to oven and cook until fish is cooked through, about 10-15 minutes, depending on thickness. Carefully remove pan and transfer fish and vegetables to a large serving platter. Serve warm. cook's note: Leftovers are great served cold, along with a big bowl of fresh garden greens.